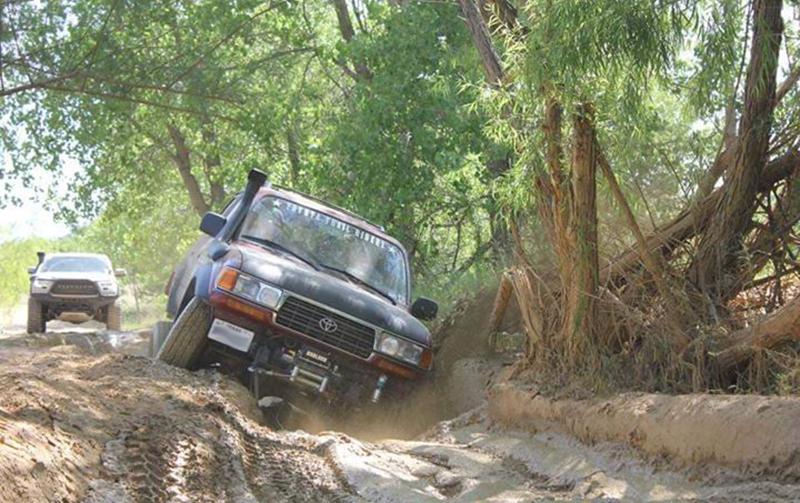 Miguel Martinez of Texas is the owner of this budget overland 1995 Toyota Land Cruiser build. 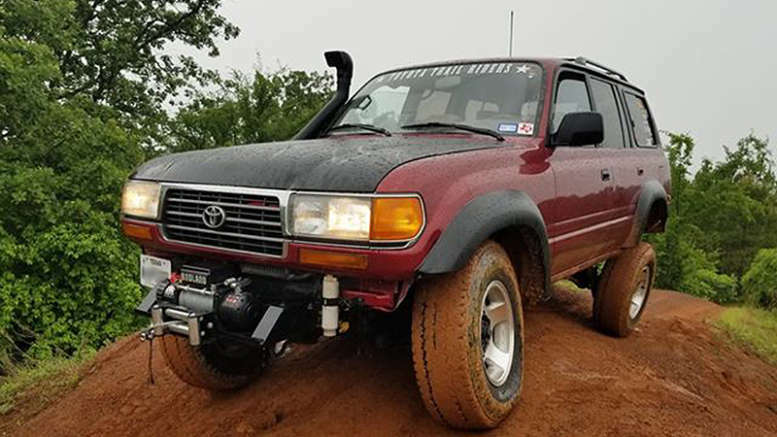 He’s the mastermind behind rescuing and resurrecting this Toyota for roughly $6,500, with the goal of crawling & camping different OHV and state parks around Texas with the family. It’s proof that skills in bargain hunting, DIY mechanics & fabrication, and practicality can net you an overland vehicle that can hang with big dollar rigs. How Did Miguel Pull Off a $6,500 Overland Land Cruiser? Miguel found the Land Cruiser sitting in someone’s backyard, somewhat abandoned with weeds growing up over the running boards. The original owner had maintained it well for 245K miles, but the Toyota SUV finally ended up with a bad radiator. The previous owner did not want to sink money into it, feeling the Land Cruiser wouldn’t last much longer. To Miguel, it checked out to be in good shape otherwise, so he relieved the owner of the burden for $600 and became the new owner. He simply jump started the battery, the Land Cruiser started right up and he pulled it right onto trailer. On weekends, with help of a friend sometimes, Miguel did all the work himself to transform this former daily driver and bring out it’s inner overland beast. The bad radiator and starter were replaced. Preventative maintenance was done on the powertrain. In the front of his Land Cruiser, Miguel removed the stock bumper, and mounted a 12000 lb harbor freight winch to a custom winch mount he fabricated. He also fabricated his rear bumper, with a swing arm for the spare tire, using junk yard parts and some c-channel from the local scrap yard. To improve armor further, Miguel fabricated rock sliders using factory FJ cruiser sliders. Suspension was upgraded to an Old Man Emu heavy load 3.5 inch lift kit, greatly enhancing this land cruiser’s overland capabilities. Factory fender flares are in place, just sprayed with Raptor Liner, which was also used to coat the rear bumper and swing mount. As you probably guessed, installation of the snorkel was a DIY project as well, which was a budget buy on eBay after Miguel researched the snorkel’s performance to match other more expensive brands. He also added KC HiLiTES in the front. Finally, as far as the the interior goes, all it needed was just cleaning, with a whole array of communication devices installed to tackle any situation he may encounter. Thanks Miguel for sharing how you achieved such an awesome overland rig on such a frugal budget – truly a Savage Camper! 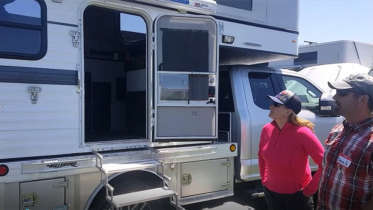 1 Comment on "Ultimate Budget Overland Land Cruiser: Bought & Built for $6,500"
Four-wheel-drive overland travel is different than trail running. My early experiences with the latter involved a friend with a beat-up 1964 Land Cruiser FJ40 equipped with a Ramsey winch and an alarmingly frayed steel cable. 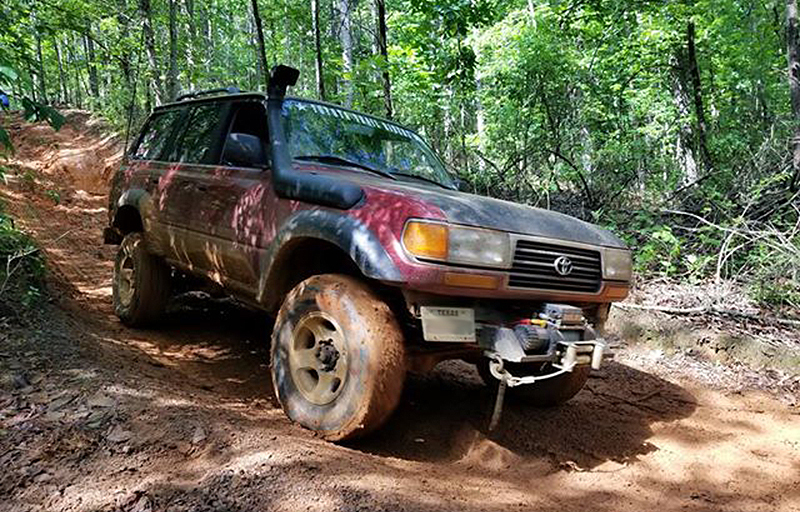 We took that vehicle over some ridiculous trails, getting stuck numerous times a day and hooking the winch to whatever was nearby to pull it out. I m still amazed we both survived with limbs intact, but that Ramsey did yeoman duty time after time. 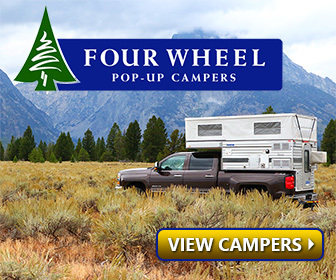 Savage Camper is a participant in the Amazon Services LLC Associates Program, an affiliate advertising program designed to provide a means for sites to earn advertising fees by advertising and linking to amazon.com.